John Sydney Ewart, known to the family as Jack, was the son of William Ewart and Emily Shephard, who had married in Sheffield in 1876. William was born in Kirkcudbright, and was a draper, and subsequently a traveller, in that trade. John was the eighth of nine children. He had five older sisters, Edith, Marion, Jane, Alice and Janet, and two older brothers, Samuel and William. The youngest child, Charles Reginald, was the grandfather of Brell Ewart, who provided much of this information. In 1914, when war was declared, John was 22, and lost no time in volunteering. With a number like 314 he must have signed up in the first few days. 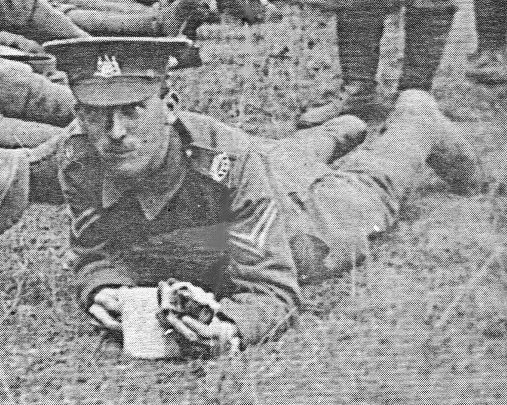 He joined the Leeds Pals, which suggests either that he had moved jobs or was so anxious to sign up that he didn’t wait for the Bradford Pals to be formed. It is also possible that he was influenced by the fact that his grandmother had been born in Leeds. Whatever the reason, he was a Leeds Pal. But unfortunately his service record has not survived. Like the rest of the Pals he would have done his early training at Colsterdale, before moving on to Ripon and finally Fovant in Wiltshire. From there, in early December 1915, the Battalion sailed for Egypt, where they were to guard the Suez Canal against a possible Turkish attack. This did not materialise, and in March 1916 they sailed again, this time for France, and training for the Big Push. The Battle of the Somme began at 0730hrs on 1st July 1916 when the Leeds Pals, along with a number of other Pals battalions, including the Bradford Pals, went over the top, with the intention of capturing the village of Serre. But it was not to be. The majority were either killed or wounded, but John survived. There is no reason to suppose that he wasn’t in that attack. 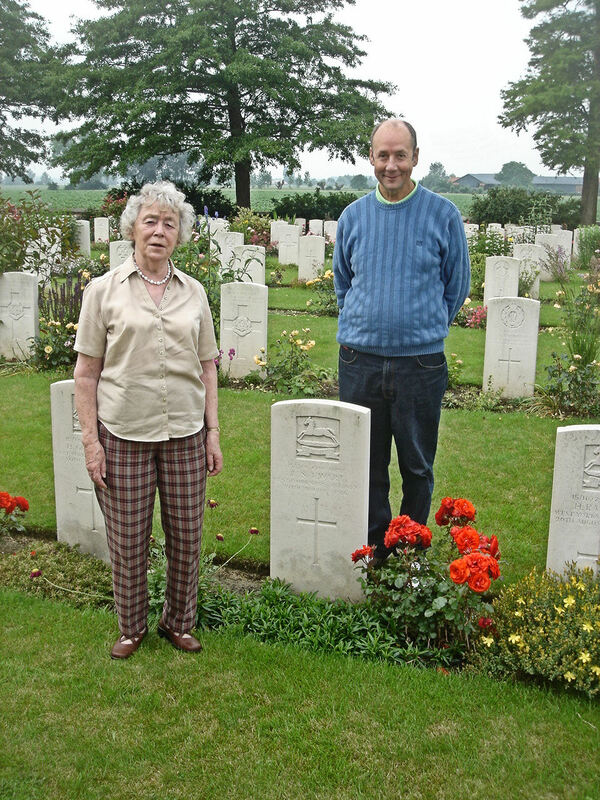 John’s grave, visited by his niece and great-nephew, June Dorothy Ewart and Brell Ewart. His younger brother Charles Reginald served in the Royal Scots Fusiliers, and also survived.